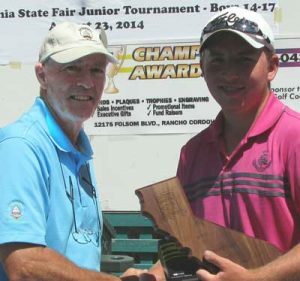 State Fair Junior Championship for Boys 14-17 was held at Mather. 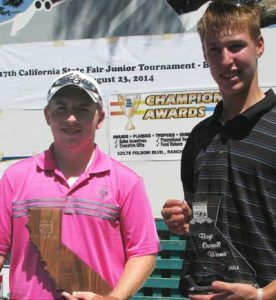 Travis Mitchell of Alamo, California scored 69, tying Connor Bell of Sacramento, required a sudden death playoff. On the third playoff hole, Travis was on in regulation, 25 feet left hole high. Connor had pushed his approach long, tangling with a bushy pine. On in three, he missed the par, while Travis 2-putted for the par and the win. 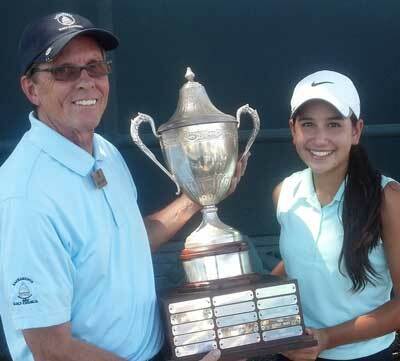 The Girls Champion at Haggin Oaks is 14 year old Maya Pugatch from San Jose, posting a 67. Maya racked up seven birdies, and only two bogies. 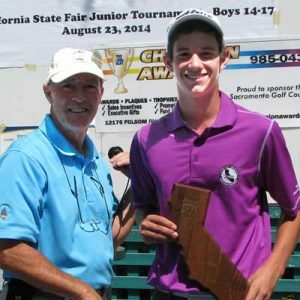 At Haggin Oaks, Cole Whang aced #13, and Chisay Aria aced #3. Refer to the JGANC site for all scores. both scored 69, Mitchell prevailed at third playoff hole.